Anna Mason is an English botanical illustrator and watercolor artist. She often works at a relatively large scale, and her paintings have an appealing blend of detail, texture and color. Mason is self-taught, and only 18 months after beginning botanical painting, won a Royal Horticulture Society medal for botanical arts for a sequence of 20 paintings of an apple tree branch progressing through the season from bud to blossom to fruit. She now offers a course on watercolor painting, in which she introduces her techniques to others. She also has a book, The Modern Flower Painter (preview here), and a series of free instructional demos on her YouTube channel. Her website is setup more as promotion for her classes and prints than as a showcase for her paintings, so you have to look for the link to “Portfolio” to actually view a selection of her work. Some of her pieces are deliberately high-chroma and have something of a pop sensibility, but I prefer her more subdued and naturalistic representations of botanical forms. Links are to zoomable versions on the Google Art Project. The painting is in the Frick Collection, which also has a zoomable version, downloadable image on Wikimedia Commons; the drawing is in the Royal Collection Trust, downloadable version on Wikimedia Commons. Holbein’s reputation as a portraitist is well deserved; this one I think, being one of his finest. I come away with a sense that I know without question what this man looked like. No flattery, no embellishment except in the rendering of the velvet sleeves and medallion of the Tudor rose and livery chain. I’ve had the opportunity to see the original at the Frick in New York, and the painting has a striking, palpable presence. The drawing is related to a series likely done in preparation for this portrait; but, even though it’s punctured for transfer, it doesn’t seem to be the final drawing from which the portrait was started. For more on Holbein, and this portrait, see my previous post on Hans Holbein the Younger. If I were to look up “muted palette” in my mental art dictionary, the definition would be a painting by Vilhelm Hammershøi. The Danish painter, active in the late 19th end early 20th centuries, was noted for his enigmatic, poetic interiors — sometimes empty, but frequently occupied by a lone figure. This figure was often either that of his sister, Anna, or his wife, Ida. Both were portrayed in many of Hammershøi’s paintings as facing away from the viewer, adding to the mysterious quality of the compositions and giving them an emotional tone as muted as his palette. Hammershøi also painted more straightforward portraits, as well as landscapes, but the power of his interiors was the centerpiece of his work. They can be interpreted as contemplative or melancholy, but they seem to carry forward a still moment in time, as exemplified by the Dutch interior painters he admired, like Vermeer and De Hooch. Hammershøi was influential on Danish art and on other painters. I can’t help but see his figures facing away from the viewer in the work of Belgian Surrealist René Magritte, and his quiet interiors patterned with light from multi-paned windows in the interior watercolors of Andrew Wyeth. There is currently an exhibition of Hammershøi’s paintings, titled “Painting Tranquility: Masterworks by Vilhelm Hammershøi from SMK —the National Gallery of Denmark” at Scandanavia House in New York, that runs until February 27, 2016. There is a currently in print collection of his work, Hammershøi and Europe, though it doesn’t to my knowledge have any connection with the show. You may also find additional, out of print titles that can be acquired used. This is on the website of the Norman Rockwell Museum’s Rockwell Center for American Visual Studies. The page has fascinating information both about the origins of the association of American Football with the holiday of Thanksgiving, and about Leyendecker’s use of Augustus Saint-Gaudens’ sculpture of a pilgrim as his model for the pilgrim figure. In my many Lines and Colors posts about the brilliant American illustrator, J.C. Leyendecker, I’ve often pointed out my admiration for his ability to combine solid academic draftsmanship with a confident looseness in his rendering. Plus, I never tire of the way he spots his highlights. Lost Property is a touching and beautifully realized animated short (5 mins) — written, directed and with art by Åsa Lucande. Patrick O’Keefe is an illustrator, visual development and concept artist working in games, tv and print. He is also a muralist for community projects. O’Keefe has a nicely crisp, fresh style of digital painting, with lots of texture and atmosphere. I like in particular his space themed concepts, in which he carries forward mid-20th century futurism rendered with a contemporary sensibility. 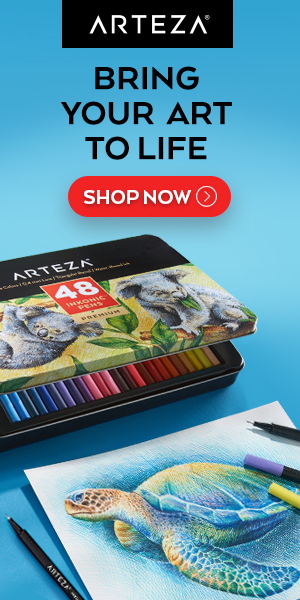 Along with the professional and personal projects on his website, you’ll also find sketches from life in watercolor and gouache.